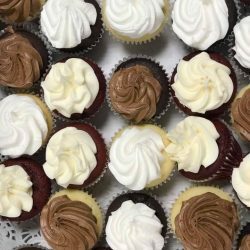 Upper Crust Food Service sets the standard for Sorority food service with our customized chef-inspired menu items that are focused on quality ingredients and daily variety. 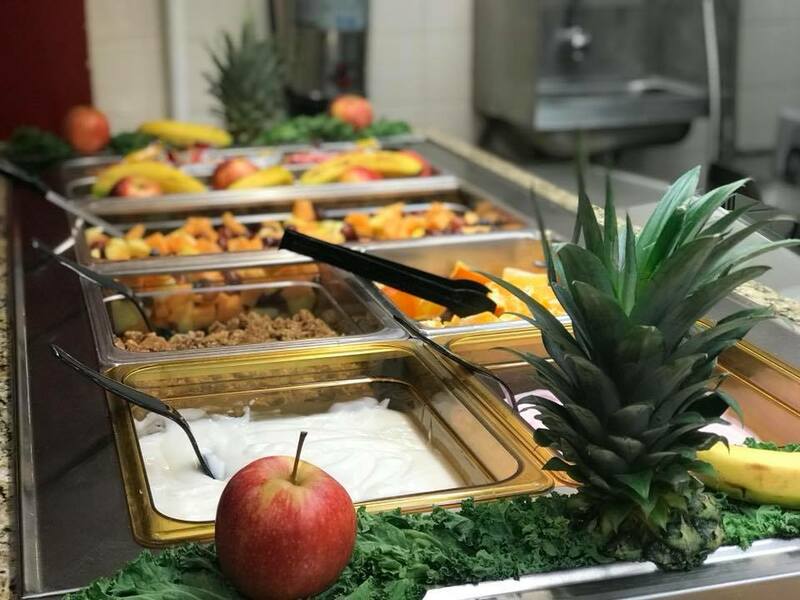 Our Greek housing chefs take pride in providing meals that taste as good as they look and we are experienced in serving members with special dietary needs. 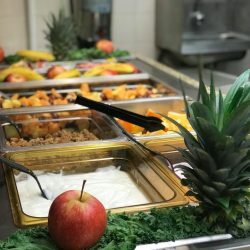 We pride ourselves on providing college food catering services that include ingredients that are responsibly sourced including organic, locally grown, and hormone-free items. 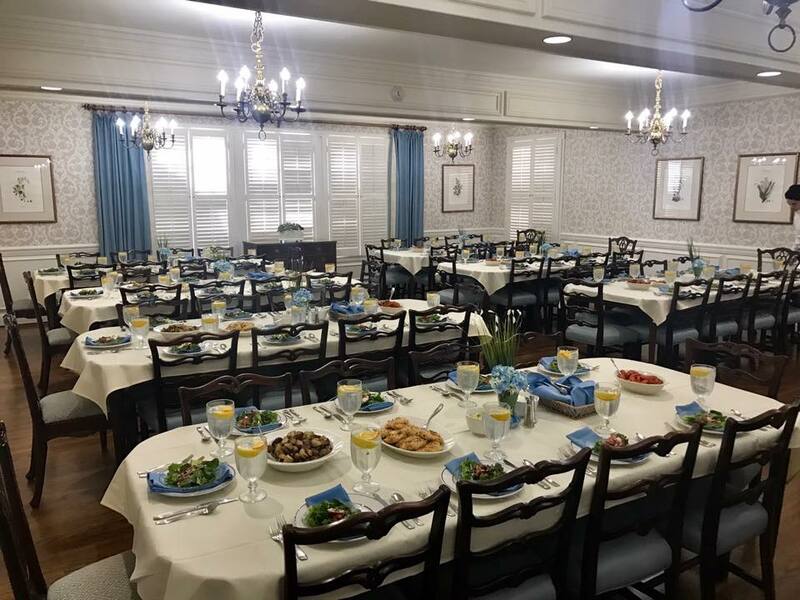 We have two breakfast service options for your sorority to choose from. 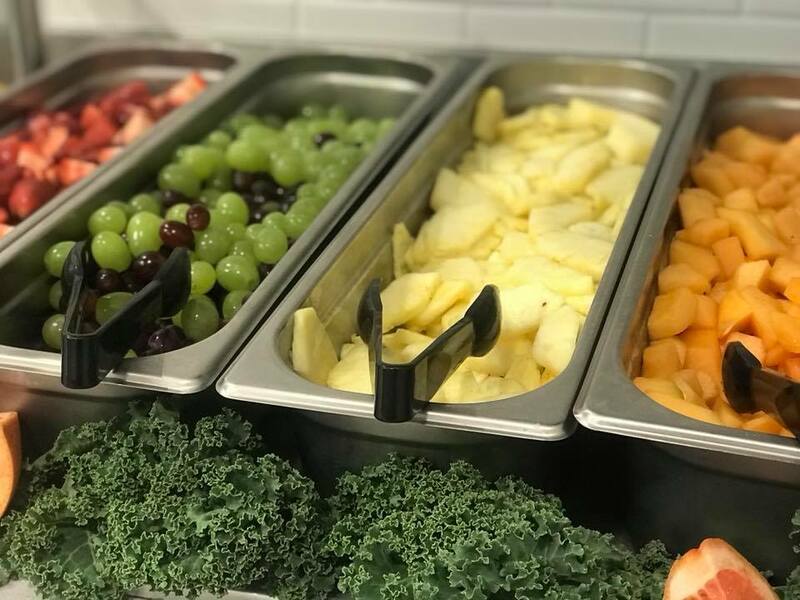 Our Continental Breakfast includes items such as fresh cut fruit, whole fruit, cereal, pastries, bagels and cream cheese, oatmeal, granola, and yogurt. 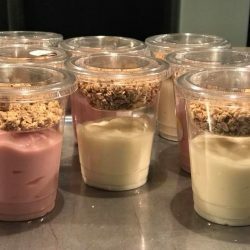 Breakfast beverages include a variety of juices, coffee, and milk. Our Hot Breakfast includes all of the Continental Breakfast options plus a delicious hot breakfast buffet. We also include complimenting sides and the ability to order eggs and omelets cooked to order from your chef. Our Buffet Lunch includes a daily customized entree. 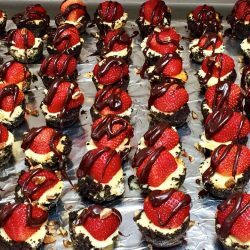 Our chef will often create multiple entrees to increase variety and satisfy dietary needs. Entrees are paired with a minimum of two complimenting sides. 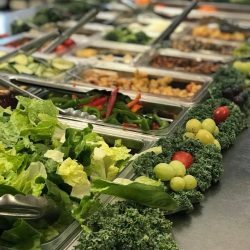 Our Salad Bar is stocked with two types of lettuce, freshly cut veggies, cheeses, fruits, proteins, composed salads, dried fruits, nuts, croutons, and a variety of dressings. 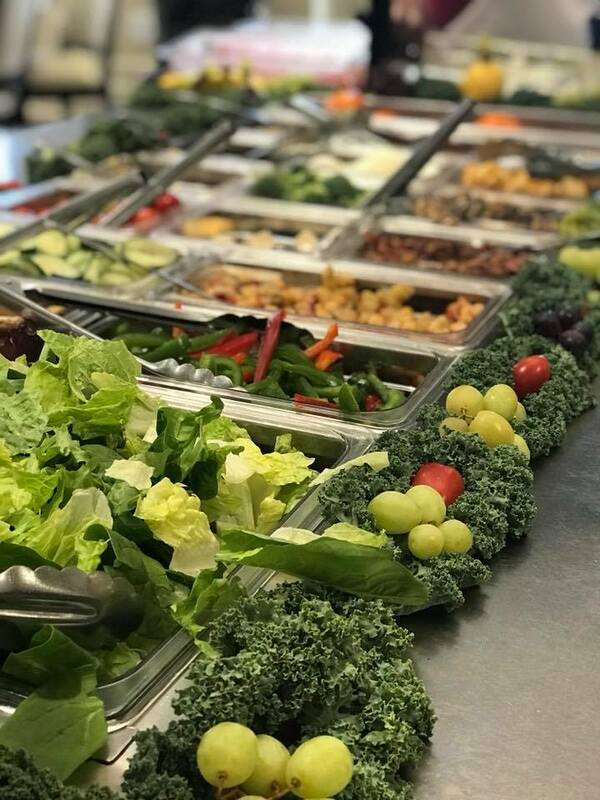 Our salad bar items are unlimited and completely customizable based on the chapter requests. Our deli station adds another layer of variety with sliced deli meats, cheeses, breads, and condiments to create a customized sandwich or wrap. 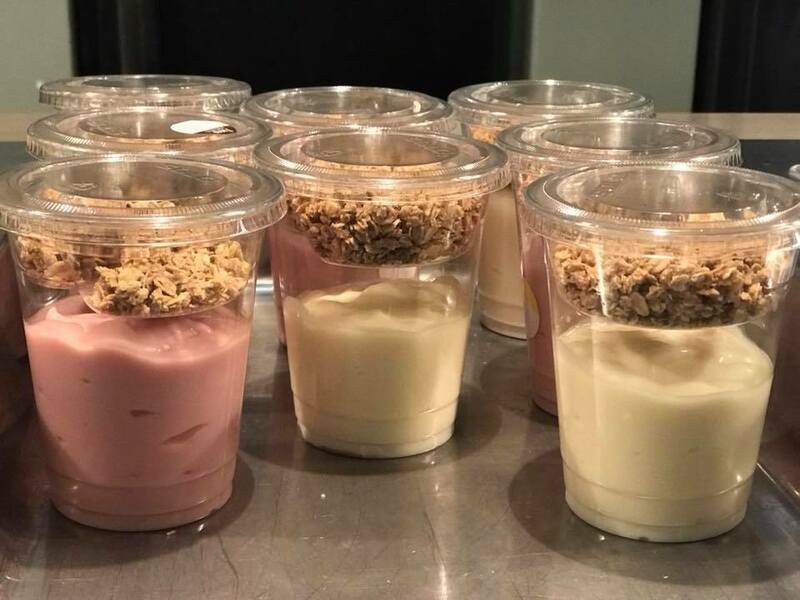 Freshly prepared dessert is served a minimum of two times per week at lunch. 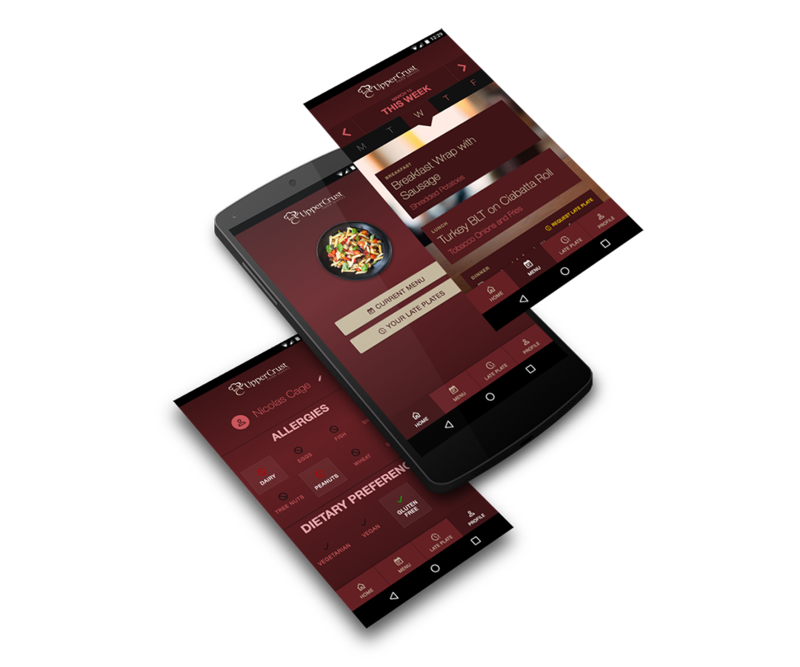 We offer the ability to sign up for a lunch late plate or sack lunch on our exclusive Upper Crust Food Service App. Sack lunches are available for pick up at breakfast each morning and lunch late plates are put together during the lunch meal period. 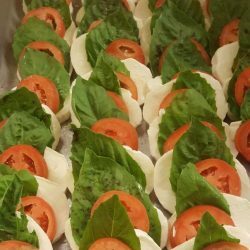 We offer dinner as a buffet, family style, or plated meal. Our dinners consist of a delicious customized entrée. 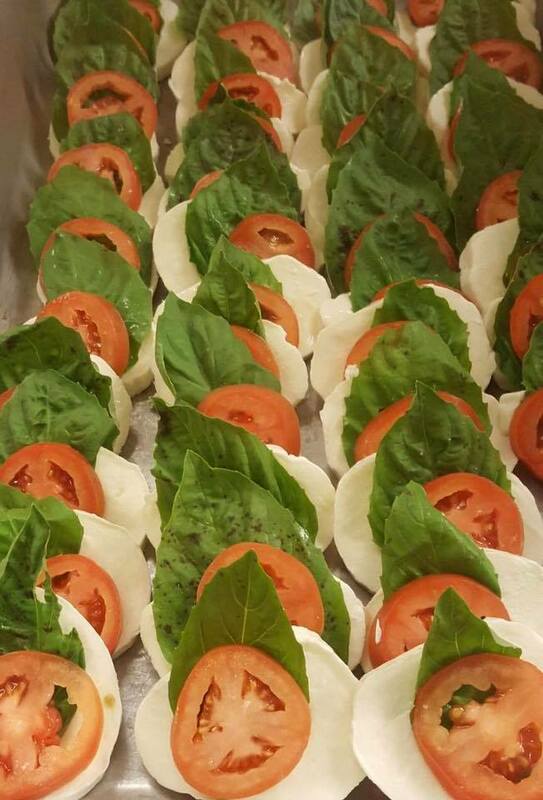 Our chef will often create multiple entrees to increase variety and satisfy dietary needs. Entrees are paired with two complimenting side dishes and bread. 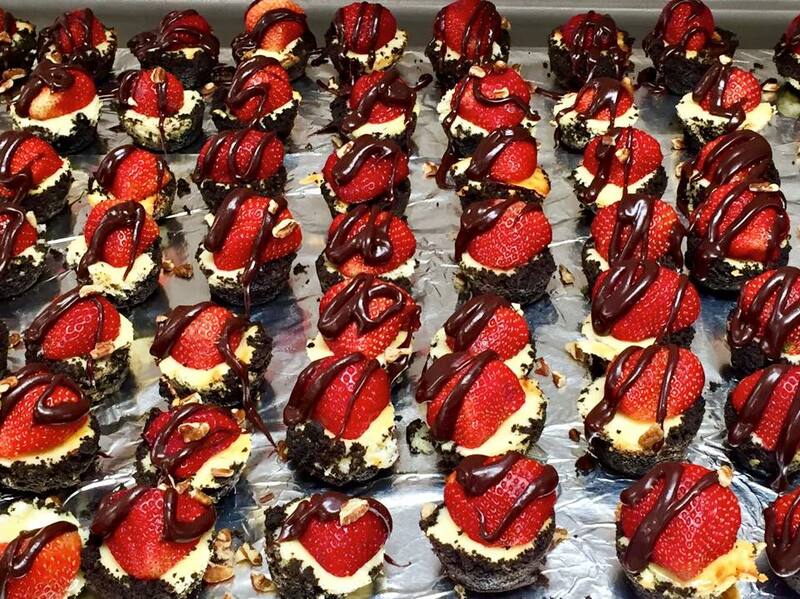 Freshly prepared dessert is served a minimum of two times per week at dinner. 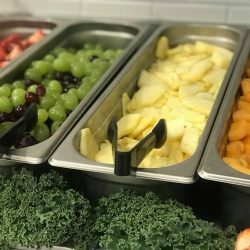 We realize that your members might get hungry outside of a meal period so we stock whole fruit, peanut butter, jelly, and breads available 24/7. 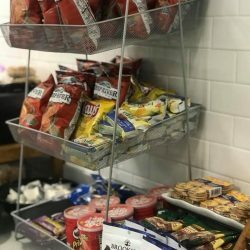 Some chapters choose to offer snacks such as granola bars, popcorn, ice cream bars, fruit snacks, etc. 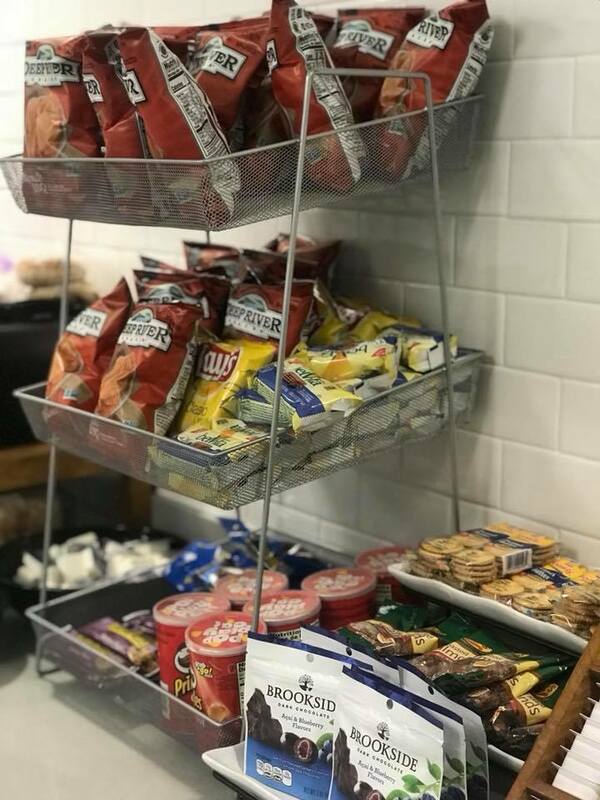 We are happy to set up a snack budget with your chapter and stock your snacks on a daily basis. 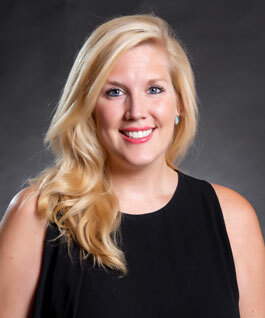 An exclusive service of Upper Crust Food Service is our Customer Advocate Program. Our Customer Advocate team will work with your chapter to gain insights into your likes and dislikes by encouraging the use of our app, creating chapter surveys, and meeting with food committees on a regular basis. 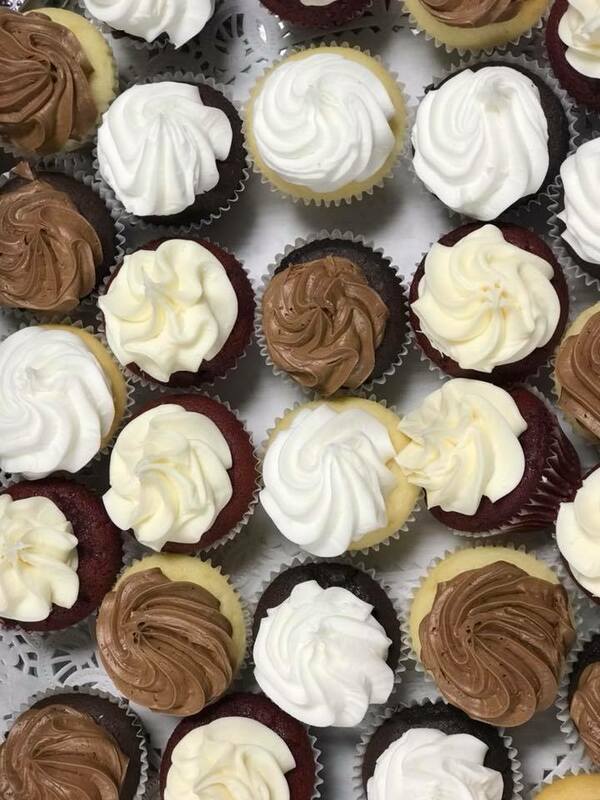 This proactive approach to customer satisfaction allows for open communication between your chapter and our college catering company so that we can continually customize our services to your specific needs. 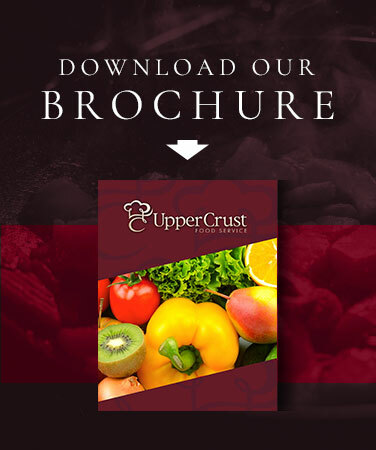 At Upper Crust Food Service, we realize that every house is unique so our chefs customize a weekly menu to fit the exact needs of your chapter. 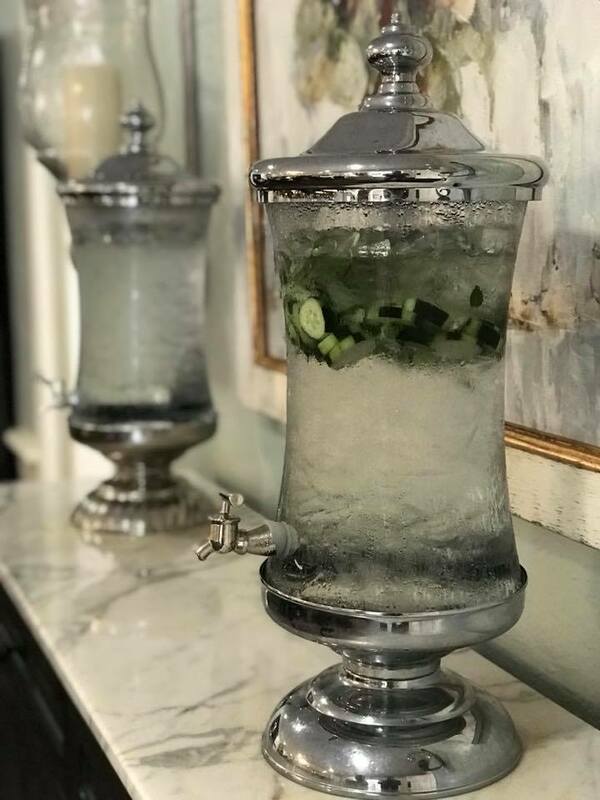 We utilize our chefs' culinary background, our years of experience serving sororities, and implement feedback directly from your members on what they would like to eat. Below are just a few examples of a typical menu for a sorority house that our food services provide. Pita Bar with Chicken & Lamb, Homemade Hummus & Tabouli, Pita Chips, Tzatziki Sauce, Chopped Tomatoes, Red Onions, Feta Cheese, Salad Bar, and Butter Cookies Dipped in Chocolate. Teriyaki Pork and Chicken, Coconut Rice, Tropical Vegetables, Black Beans, Fresh Rolls, Salad Bar, and Pineapple Upside Down Cake. 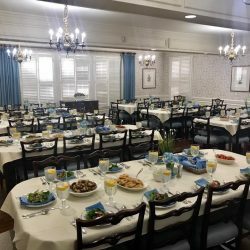 We take special dietary needs seriously and we and our chefs are dedicated to providing safe and healthy meals for all members of your chapter. 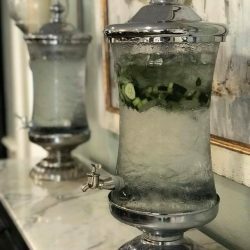 Our goal is for any member who has a dietary requirement to feel that they have just as many great food options as the rest of the members of the house. ©2018 Upper Crust Food Service® - Do not copy. All rights reserved.